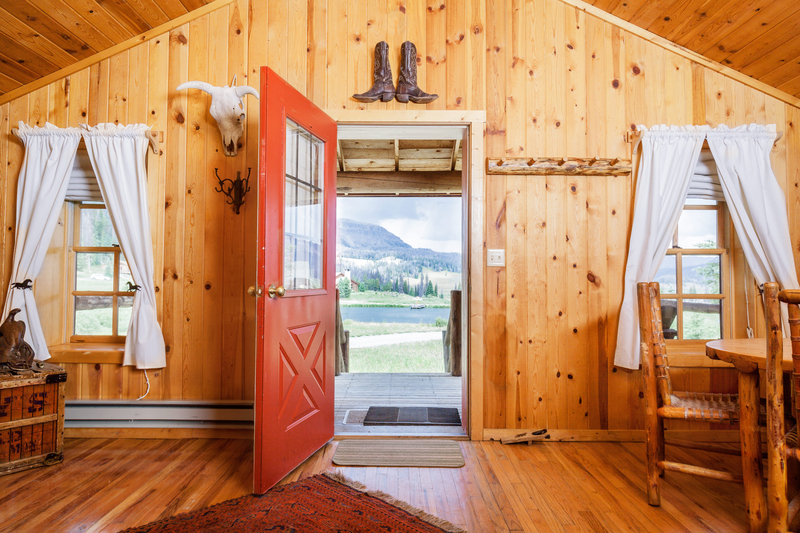 Luxury Wyoming guest ranch Brooks Lake Lodge & Spa announces its top reasons to head to the Jackson Hole area this fall including 12 days of cultural events from the famed Jackson Hole Fall Arts Festival and signature event the Western Design Conference Exhibit + Sale. Located near Yellowstone National Park, Brooks Lake Lodge also recommends fly fishing and beautiful backcountry leaf-peeping. Brooks Lake Lodge & Spa in Dubois, Wyoming, offers dramatic views and ample outdoor activity combined with luxury amenities in September. Fall colors in the Jackson Hole area are expected to be particularly vibrant. September in the Jackson Hole area offers visitors a spectacular array of cultural activities and outdoor adventures. 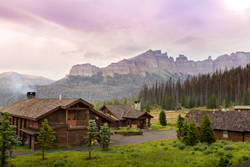 Brooks Lake Lodge & Spa, a historical all-inclusive guest lodge near Dubois, Wyoming, recently announced its top 4 reasons for making the trip to the West during the late summer/fall season. 1. 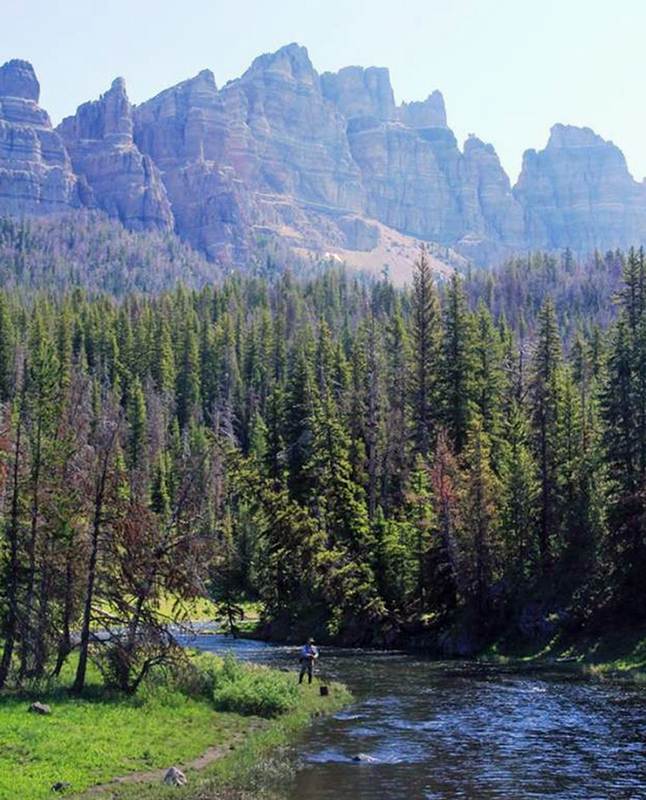 Go fish: Wyoming’s fly fishing is legendary, and the Jackson Hole area with its plentiful wild country and numerous rivers, streams and alpine lakes offers the crème de la crème. Whether using drift boats or waders, anglers can catch a variety of species of the wily trout, while fall’s warm dry weather and perfect outdoor adventure temperatures make it an ideal season for casting a line. Brooks Lake Lodge’s fly fishing opportunities – just one of the included activities at the exclusive, all-inclusive guest ranch – offer guided backcountry excursions to blue ribbon fishing, complete with gear for an easy fisherman’s getaway. For special pricing, the Lodge has created a Frequent Fly-ers package, available through Sept. 13. 2. True colors: With plentiful rainfall this past summer, fall colors in the Jackson Hole area are expected to be particularly vibrant, with the peak usually occurring by mid-September. The Teton Range, Yellowstone and surrounding areas have large stands of deciduous trees whose leaves blaze mostly yellow and orange (and occasionally red) shades in the fall. Cottonwoods line the banks of the Snake River and other waterways, while Aspens are found on hillsides and scattered throughout moist areas. Numerous species of willows and shrubs transform lake and canyon trails into yellow and red carpets, while the not-too-hot, not-too-cold weather and numerous trails make autumn a perfect time to take a hike. At Brooks Lake Lodge, guided and unguided hikes into the surrounding Shoshone National Forest ensure leaf-peeping at its best. 3. State of the Art: Boasting more than 50 activities, many of them free, the Jackson Hole Fall Arts Festival, Sept. 6 – 17, 2017, feeds visitors’ creative appetites with a wealth of art-related functions in and around Jackson, Wyoming. Events include witnessing dozens of artists crafting 90-minute masterpieces on the lawn of Jackson’s famous town square and sampling the area’s finest culinary creations at an open-air tasting fair, as well as exciting art auctions, stay-open-late gallery walks, national museum parties, and home and ranch tours of some of the finest residences in the valley. Bonus tip: check out Brooks Lake Lodge’s special Fall Arts Festival Day Out package for a unique combination of town and country experiences. 4. Best of the West: Celebrating its 25th anniversary this year, The Western Design Conference Exhibit + Sale (WDC), Sept. 7 – 10, 2017, welcomes more than 130 juried artists, craftsmen, fashion and interior designers from around the country sharing a passion for showcasing the finest quality functional creations that capture the spirit of the West. A one-of-a-kind experience where guests can shop the museum-quality art, the four-day celebration also offers sophisticated renditions of “cowboy couture” jewelry and apparel and an exhibit of the finest examples of handcrafted home furnishings, as well as a six-room Designer Show House and a Retail Row. Brooks Lake Lodge’s Fall Arts Festival Day Out package includes complimentary passes to the WDC Exhibit + Sale. The best place to enjoy all that Wyoming’s Jackson Hole and Yellowstone country has to offer fall travelers is at the secluded and luxurious Brooks Lake Lodge & Spa, perched lakeside at the base of the Pinnacle Mountains just a little over an hour outside of the town of Jackson. The Lodge, which offers a variety of guided backcountry outdoor activities such as hiking, horseback riding, fishing and archery, was recently lauded as a hidden gem by Western Art & Architecture magazine and described as a place that “brings the Old West back to life.” Combining the breathtaking setting, activities that connect guests to nature and an array of gourmet meals with all-inclusive pricing, Brooks Lake Lodge makes for a memorable stay while enjoying the state’s fall beauty and events. Brooks Lake Lodge & Spa, a nearly 100-year-old historic guest ranch near Jackson Hole and Grand Teton and Yellowstone National Parks, is surrounded by evergreen forests, mountain peaks, abundant wildlife and alpine Brooks Lake in Shoshone National Forest. Named a 2017 Western Landmark by Western Art & Architecture, the exclusive, all-inclusive Wyoming Rocky Mountain resort offers five-star service, luxury accommodations and gourmet dining and has also been honored as a U.S. Rocky Mountain Stunning Inn & Lodge by Vacation Idea, a Top 10 Luxury Wildlife Lodge by Money Inc. and a Travel + Leisure Great American Lodge. Brooks Lake Lodge’s all-inclusive rates include lodging, meals, activities and spa access. For more information visit http://www.brookslake.com or call 866.213.4022. September in the Teton Valley of Wyoming is a spectacular time to travel to the region with cooler temps, foliage, festivals, wildlife viewing and lodging specials. Fishing in the streams and lakes at Brooks Lake Lodge is ideal during the perfect outdoor adventure temperatures of September in Wyoming’s backcountry. Rustic meets luxury in all of the cabins and suites at Brooks Lake Lodge & Spa, each offering sweeping views of the surrounding wilderness along with plush beds and cozy robes. 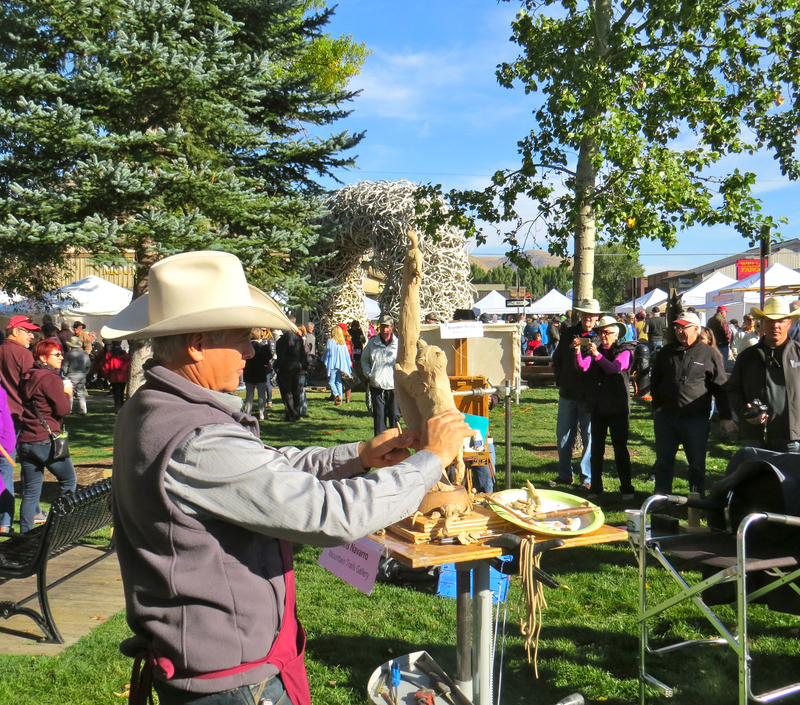 September brings forth the 33rd annual Jackson Hole Fall Arts Festival, a 12-day cultural extravaganza taking place Sept.6-17, 2017. Models will strut cowboy couture on the runway at the Opening Preview Party kicking off the 25th annual Western Design Conference Exhibit & Sale in Jackson Hole, Sept. 7-10, 2017.